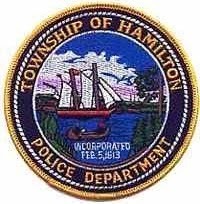 On 8/30/14 at 8:42am, Township of Hamilton Police responded to Rt. 40 at mile post 43.7 for a serious motor vehicle crash involving three vehicles. Investigation revealed a 2008 Chevy Silverado driven by Nicholas Gareffi, age 39, of Vineland, was traveling eastbound on Rt. 40 when it crossed the center line into oncoming traffic. The Chevy struck a westbound 2007 Mitsubishi box truck driven by Darrel Jacobs, age 48, of Vineland. The Chevy then struck a 2011 Volkswagen Jetta, occupied by five people, which was traveling westbound behind the box truck, causing it to spin off the roadway into the front yard of a nearby residence. The driver of the Volkswagen, Madelyn Williscroft, age 18 of Linwood, and two juvenile passengers, sustained mild to moderate injuries and were taken by ambulance to Atlantic City Medical Center for treatment. A third juvenile passenger in the vehicle sustained serious injuries and was flown by Southstar to ACMC City Division. After striking the Volkwagen, the Chevy ran off the roadway,struck several trees, and became engulfed in flames. Firefighters from Mays Landing Volunteer Fire Company and the NJ Forest Fire Service extinguished the flames. The driver of the Chevy, Garreffi, was taken to ACMC for evaluation. The driver of the box truck, Jacobs, was not injured. The roadway was closed for investigation for approximately two hours. Assistance at the scene was provided by Troopers of the NJ State Police, Atlantic County Park Rangers, Paramedics from Atlanticare, Mays Landing Volunteer Fire Department, NJ Forest Fire Service, and rescue squads from Hamilton Township, Hammonton, and Galloway. No summonses have been issued at this time and the crash is pending further investigation by Ofc. J. Hartman. An additional update may be forthcoming.